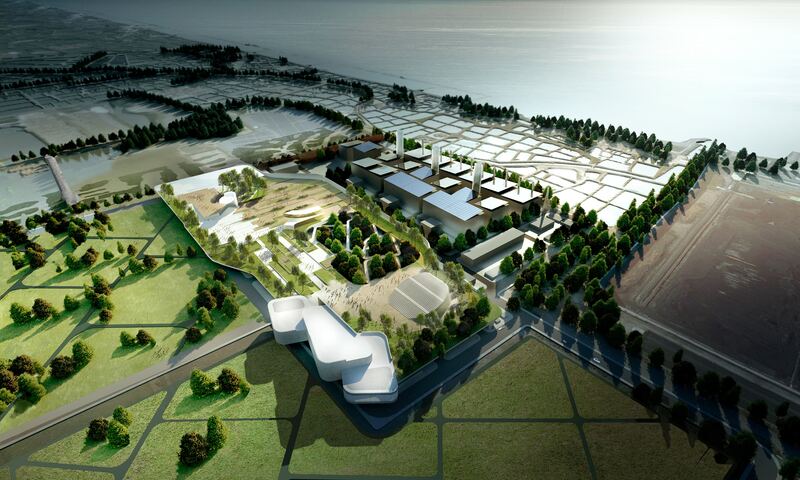 Hsinta Ecological Power Plant was a response to an international conceptual design competition per Taiwan administration’s “2025 Nuclear-Free Home” policy and “Hsinta Power Plant Natural Gas Units Replacement Plan”. 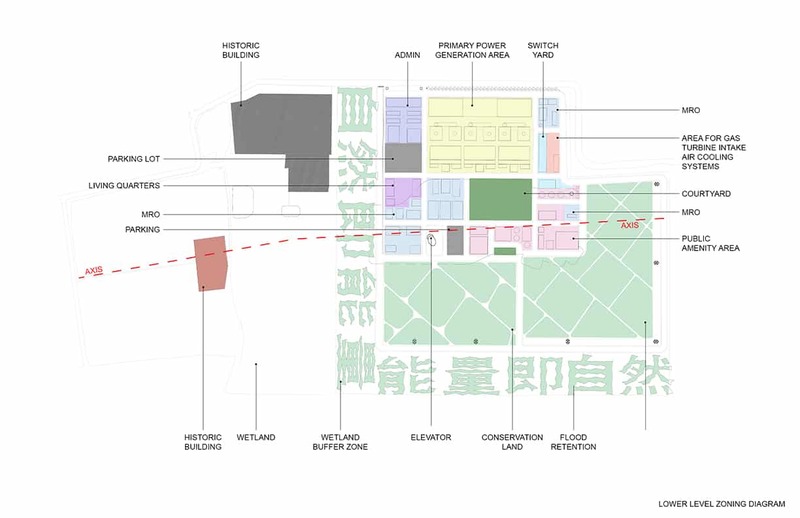 The brief included the decommissioning of an old nuclear power plant on a neighboring site and creating a new hyper efficient gas-powered plant on 78 hectares of land which needed to include a flood retention zone basin (5.5 hectares), wetland buffer zone (15 hectares), carbon reduction land (14 hectares) and photovoltaic system. 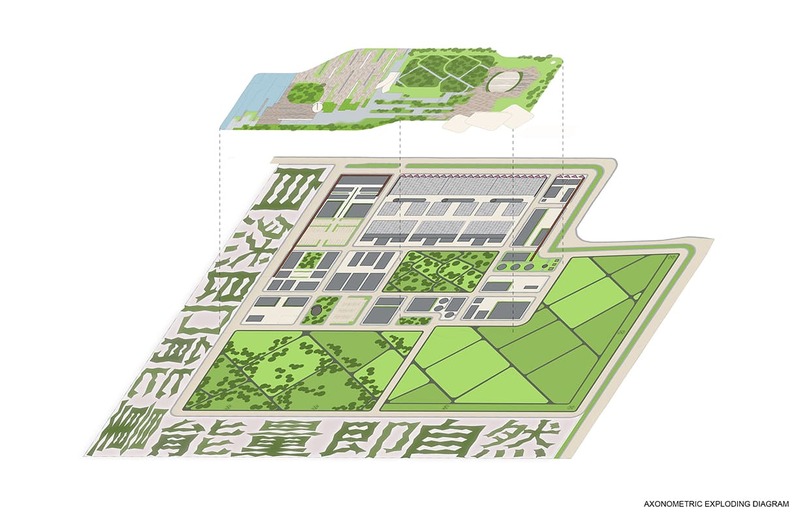 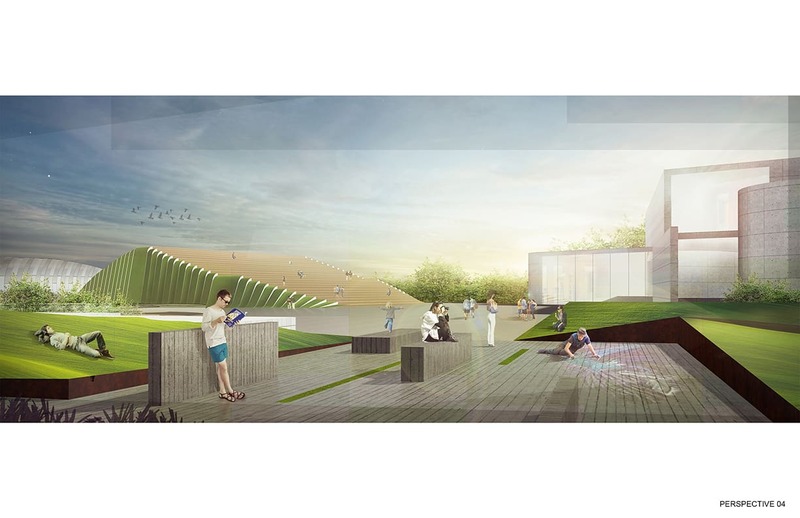 The new design needed to displace conventional notions of power plants, address the location of the power plant in wetlands, and the heritage of a small neighboring historic village in its design, and create an ecological message to be conveyed to the surrounding communities. 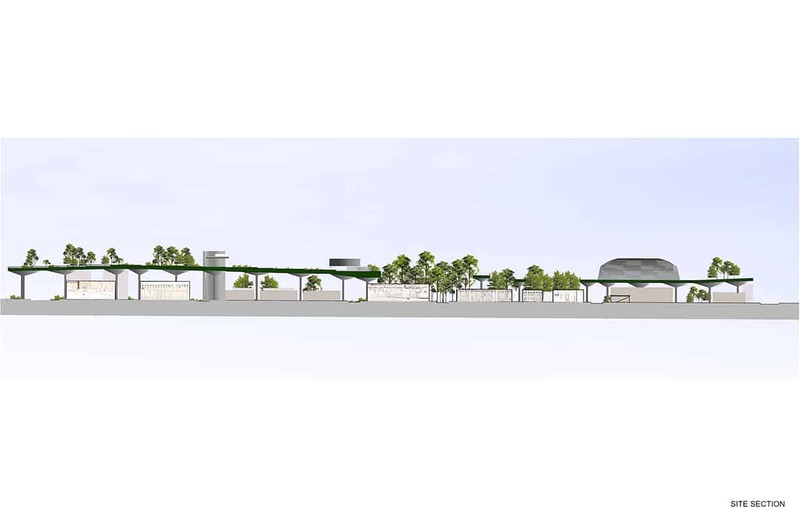 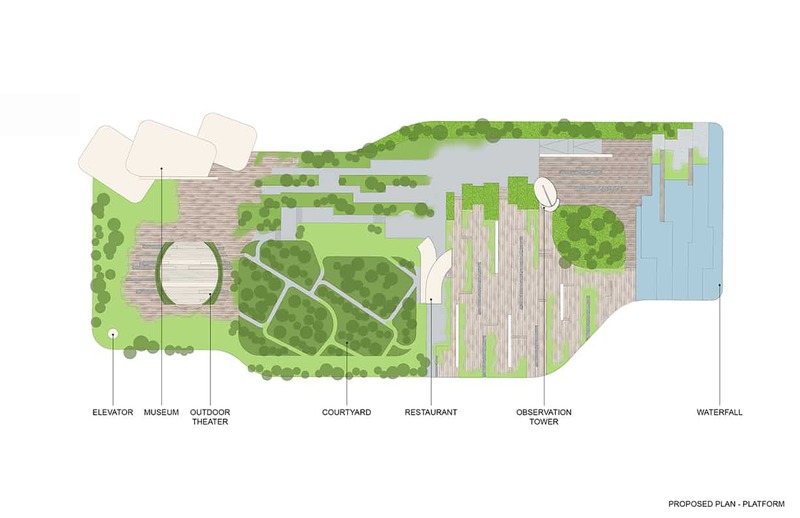 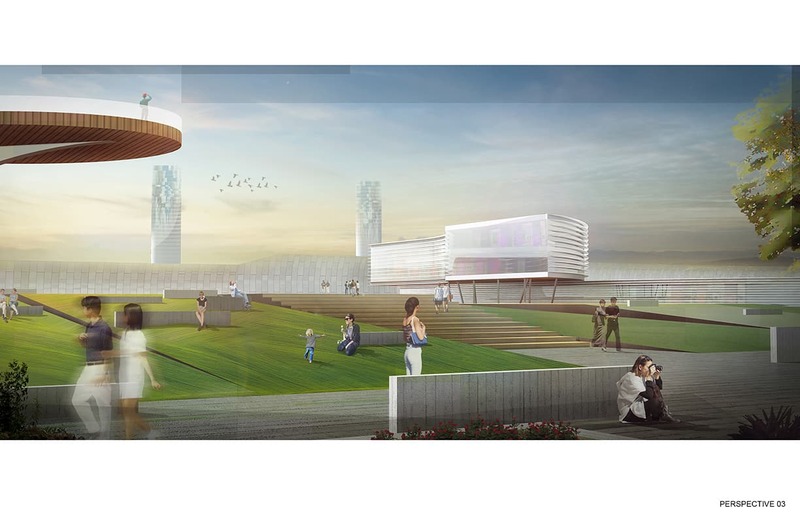 We responded to the brief by inserting an elevated park over half the site that included a museum, an auditorium, a viewing tower and walking & bike trails creating a hybrid program of culture and industry that served the outlying fishing communities and salt farmers.